The American Society of Civil Engineers has honored Associate Professor Foluso Ladeinde as an "ASCE 2018 Outstanding Reviewer". He was selected by the editor of the Journal of Aerospace Engineering for his thoroughness and dedicated contribution. 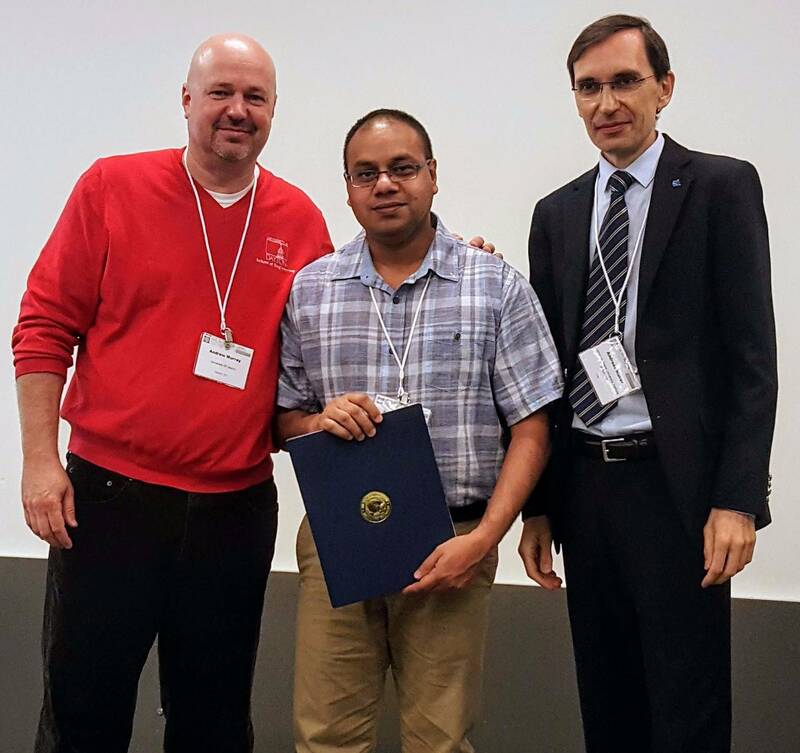 InnovateLI honored Research Associate Professor, Anurag Purwar, and Professor Imin Kao, with the "Innovator of the Year" award for the Design Innovation and Robotics Camp for 6th-11th grade students sponsored by Stony Brook University's Manufacturing and Technology Resource Consortium (MTRC). 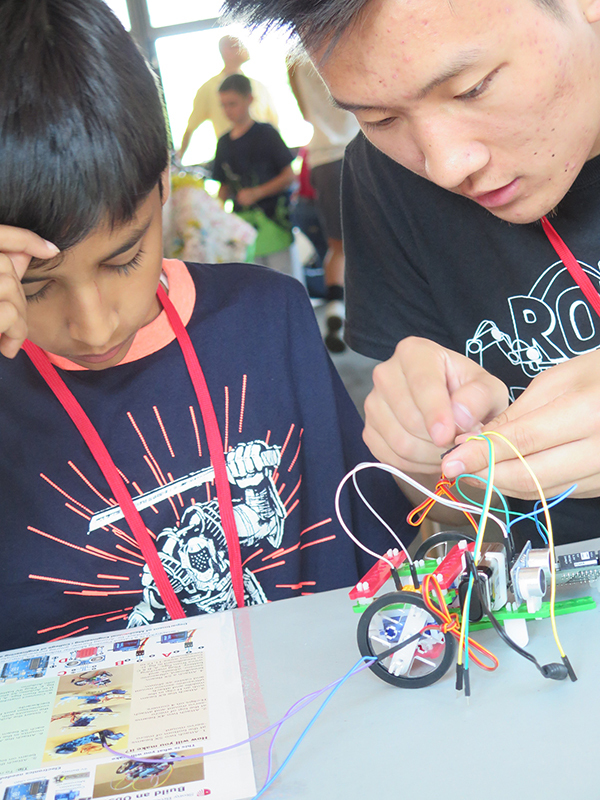 The two-week camp is a STEM based program that offers hands-on experiential learning. Stony Brook graduate schools and programs have again been rated impressively in the U.S. News and World Report annual graduate school rankings. In the 2020 edition of Best Graduate Schools , Stony Brook University was named a top school in both Engineering and Medicine. The College of Engineering and Applied Science s rose from being ranked 66 in 2018 to 64 (tie) as a Best Engineering School. The Mechanical Engineering graduate program rose from 70 to 52. 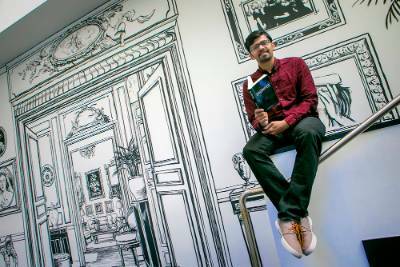 Ameya Kale, a graduate student in his final semester of the Masters program in Mechanical Engineering, has published his first sci-fi mystery thriller novel. His book, Sacrifice, stemmed from his own thoughts on what the fate of the world would be if there were no humans to begin with. In addition to being an aspiring novelist, Ameya is also a mentor for WISE where he works with high school students interested in STEM fields. Moreover, he is a GSO senator, a volunteer writer for the Statesman, and a grader for MEC 512. After he graduates this coming May, he plans to begin his career in the mechanical engineering industry. Ameya shared his ambition in a meeting with President Stanley; he hopes that his story of becomming a published author inspires other students to be vocal about their talents with the campus community. His book is available for purchase on Amazon and Google Play. Robotics is part of nearly all fields of science and has helped to transform work ranging from manufacturing to vehicle technology to surgery. To help students from elementary school through high school to advance their knowledge and creativity using robotics in STEM fields, Anurag Purwar , PhD, Research Associate Professor of Mechanical Engineering at Stony Brook University, has received a $225,000 grant from the National Science Foundation (NSF) to conduct research and development of SnappyXO , a robotics education platform. 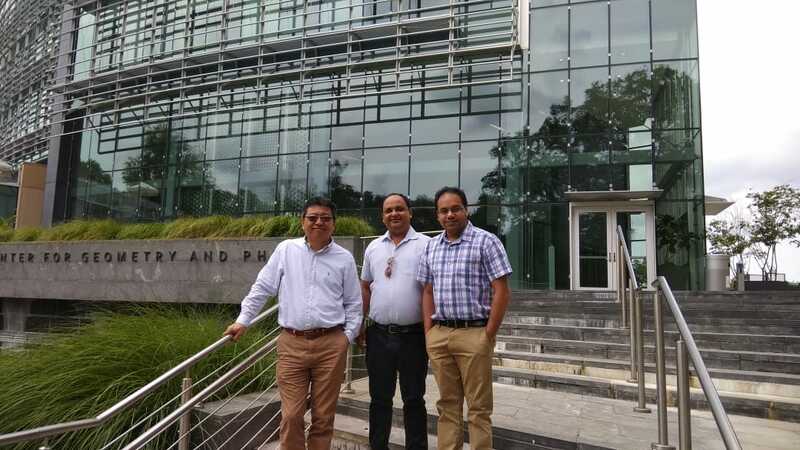 Research Associate Professor Anurag Purwar has been selected to become a Member of the National Academy of Inventors through the Stony Brook Chapter (NAI-SBU). The National Academy of Inventors was founded in 2010 to recognize and encourage inventors who have a patent issued from the U.S. Patent and Trademark Office (USPTO); enhance the visibility of university technology and academic innovation; encourage the disclosure of intellectual property; educate and mentor innovative students; and translate the inventions of its members to benefit society. The Stony Brook University Chapter of the National Academy of Inventors was established in 2016 to recognize the contributions of scientist-inventors across all disciplines in the university community. The inaugural NAI-SBU Chapter Members will be honored at the Induction Ceremony on Wednesday, May 1, where a Member Certificate will be awarded to each inductee. Professor Purwar is the sixth Mechanical Engineering faculty inducted into the NAI-SBU. He joins the company of Jahangir Rastegar (NAI Fellow), Jon Longtin, Imin Kao, Fu-Pen Chiang, and Satya Sharma. Halfway through his interview at Honda, Steve Hansen ’90 felt certain he wasn’t going to get the job. It wasn’t until he pulled out a photo of the senior design project he had completed at Stony Brook that the interview really turned around. Now, nearly thirty years later, Hansen is a Chief Engineer for Honda R&D Americas, Inc., and he still credits his work at Stony Brook with landing him the job. Today, Hansen has led the development of several Honda and Acura models, most recently leading the global development of the 2019 Acura RDX. NSF CAREER Award of $500K granted to Prof. Ya Wang to support research of "Dynamics of Ultra-small Magnetic Nanoparticles in the Brain for Neuron Regeneration Therapies"
URECA Names MEC Senior "Researcher of the Month"
Andrew Nwuba began doing research in his sophomore year, and joined two different research groups in the Department of Mechanical Engineering: one specializing in fluid mechanics, one focused on solid mechanics. 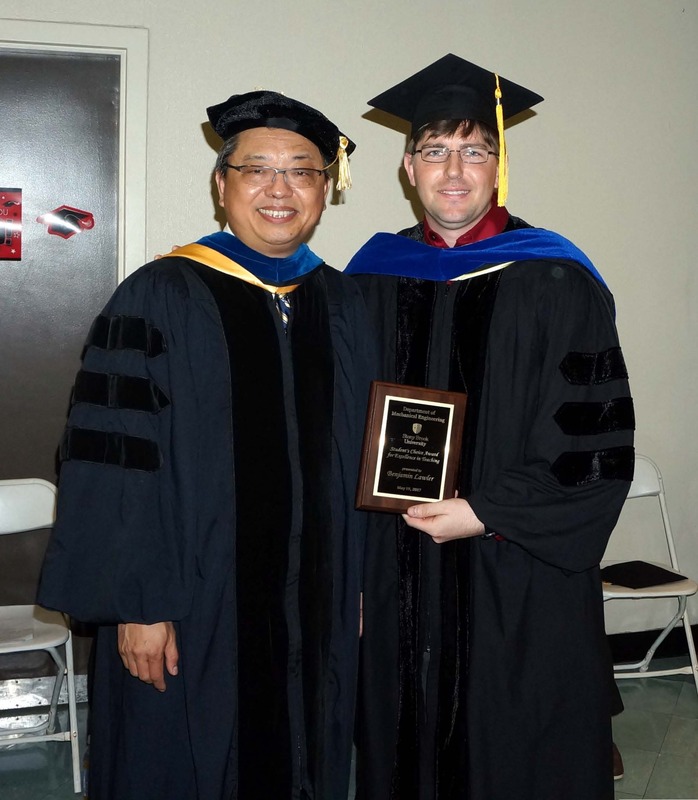 In Professor Carlos Colosqui's research group, Andrew currently investigates the behavior of fluids, quantifies data-powder wettability, contact angles and surface tension in MATLAB, and seeks to develop new technologies related to hydrophobic materials. In the research group of Professor Fu-Pen Chiang (where Andrew worked for ~ 3 semesters until April 2018), Andrew used laser speckle interferometry to measure the strain and roughness of objects. This research involved using MATLAB scripts to generate random speckle patterns. An in-depth interview with Andrew can be found here. Upendra S. Rohatgi, Ph.D., has been selected to receive the 2019 Freeman Scholarship Award for his paper entitled, "Validation, Verification, Scaling and Uncertainty Quantification for Thermal-Hydraulics." Dr. Rohatgi is a Senior Scientist at Brookhaven National Lab and Adjunct Professor for the Department of Mechanical Engineering. He will present the paper at the ASME-JSME-KSME Joint Fluids Engineering Conference in San Francisco, California in July. NASA Engineer, artist, and alum of the Department of Mechanical Engineering, Sabrina Thompson '07, has been recognized by Stony Brook University as a 40 under Forty honoree. This semester Sabrina spent time on campus, speaking with aspiring engineers and, in particular, encouraging young females to dive into STEM fields. Pictured below, Prof. Sotirios Mamalis is inducted into the Millionaire's Club of the College of Engineering and Applied Sciences for securing over $3.8M worth of grants in 2018 from the Department of Energy. 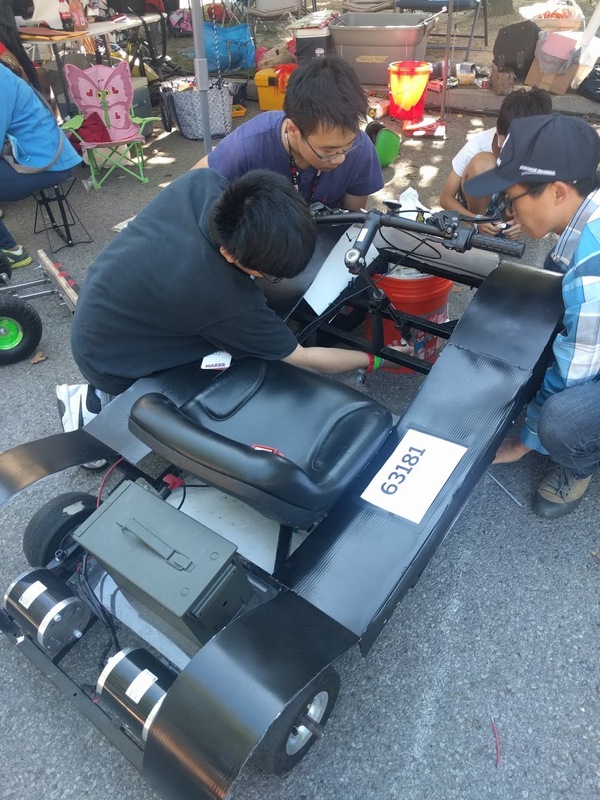 Funding will go towards research on "Hybrid Electrochemistry and Advanced Combustion for High Efficiency Power" and "Naphthenic Biofuel-Diesel Blend for Optimizing Mixing Controlled Compression Ignition Combustion." 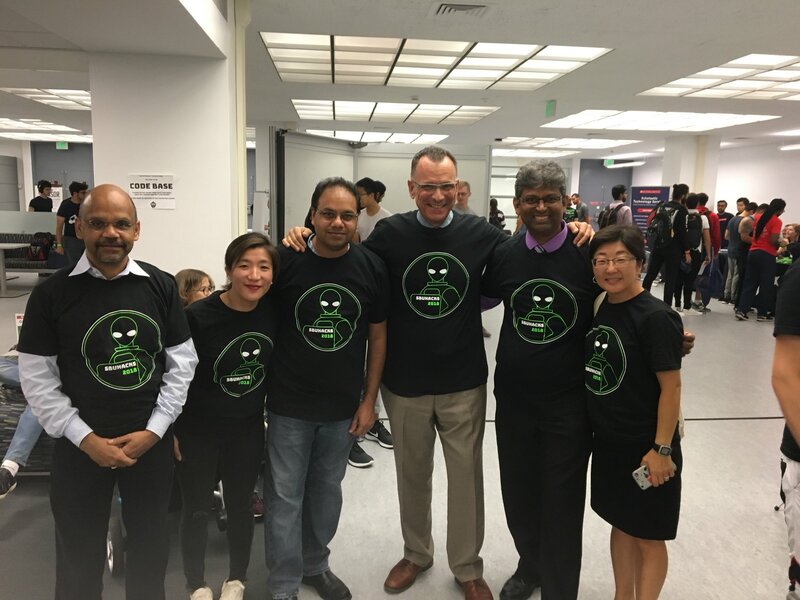 Research Associate Professor Anurag Purwar (third from left) and Dean of the College of Engineering and Applied Sciences Fotis Sotiropoulos (fourth from left) participated in the 2018 SBUHacks. This annual 24-hour event offers aspiring computer programmers, software developers, graphic designers, and interface designers a chance to collaborate under the guidance of academic and industry mentors. Fu-pen Chiang's research emphasis is on the development of optical and other experimental mechanics techniques and their applications to stress analysis (including NDE), fracture and fatigue of engineering and biological materials and structures. He has written over 400 journal and conference articles published in 58 archival journals and numerous conference proceedings. He has given invited lectures at 23 institutions in 17 countries and was a visiting faculty of Cambridge University (Cavendish Laboratory), Swiss Federal Institute of Technology (Lausanne), National Taiwan University, Tsinghua University (Beijing and Taiwan), among others. His research has been supported by NSF, ONR, AFOSR, ARO,, NIH, DOT and industrial concerns. He received Theocaris Award (2015), Frocht Award (2008) and Lazan Award (1993) from the Society of Experimental Mechanics and the Life Time Achievement Medal (2012) from the International Conference of Computational and Experimental Engineering and Sciences. In 2016 he received the Life Time Achievement Award from the European Society of Experimental Mechanics at the 17th International Conference on Experimental Mechanics held in Rhodes, Greece. He served as Editor of Int. J. Optics of Lasers in Engineering, Associate Editor of J. of Experimental Mechanics and ASME J. of Engineering Materials and Technology. He also served as Guest Editor for four special issues of J. Optical Engineering and has organized many international and national conferences. 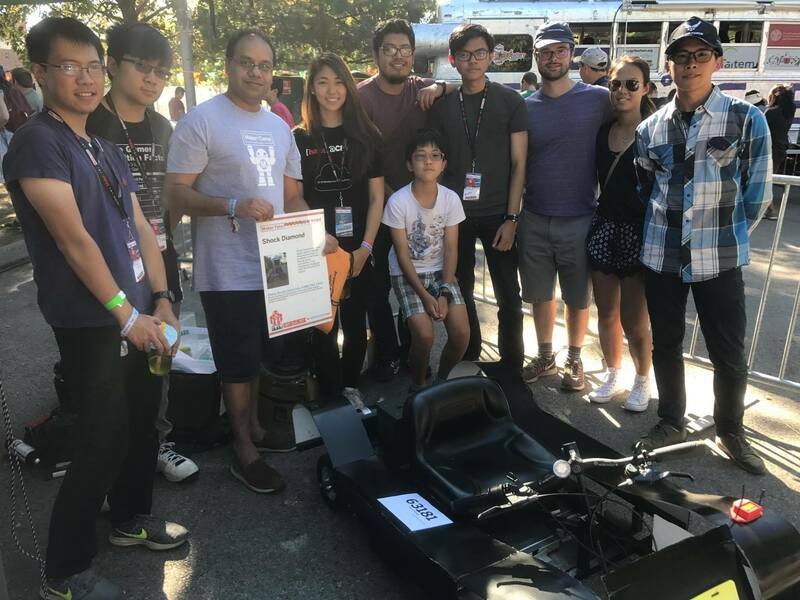 The ASME Student Club was at the Power Racing Competition held at the 2017 World Makerfaire in NY. Start with $500 and a Power Wheel. (Or any electric kids’ ride on vehicle.) Get some new batteries. A new motor. Heck, some nice new tires. Tie LEDs to the hood. Sprinkle it with glitter. Maybe a feather for class. Haul it to one of our many races. The Department of Mechanical Engineering welcomes Amanda Flanagan as the Undergraduate Program Coordinator. Amanda has a master's degree in Business Administration (MBA '11) and a Bachelor of Science in Advertising (BS '09) from Quinnipiac University in Hamden, CT. 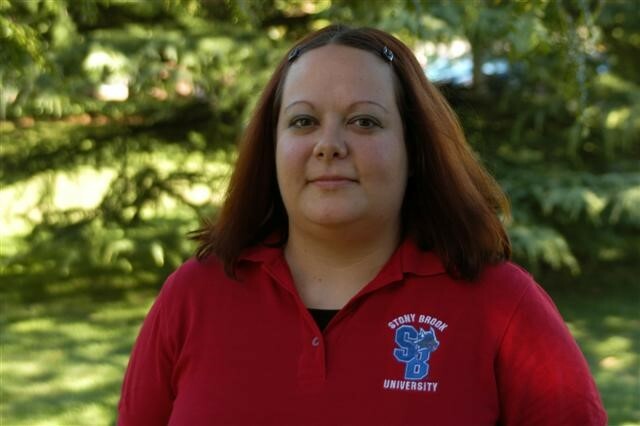 While completing her graduate degree, she began a career in education with the Career Services department. Since returning to Long Island in 2011, Amanda worked as a Career Advisor for students pursuing a vocational education in the healthcare industry. Amanda comes to Stony Brook with strong administrative and interpersonal skills. She has already become an active member of the Stony Brook University community by attending workshops and volunteering in Academic Advising. Amanda strives to create a positive experience for the students and faculty of the Department of Mechanical Engineering. Anurag Purwar, a professor in the Department of Mechanical Engineering at the College of Engineering and Applied Sciences and his PhD student Shrinath Deshpande were honored with A. T. Yang Memorial Award in Theoretical Kinematics in recognition of their prize-winning paper “A Task-driven Approach to Optimal Synthesis of Planar Four-bar Linkages for Extended Burmester Problem” at the American Society of Mechanical Engineers 41st Mechanisms and Robotics Conference, held August 6 through 9 in Cleveland, OH as part of the ASME International Design Engineering Technical Conferences. 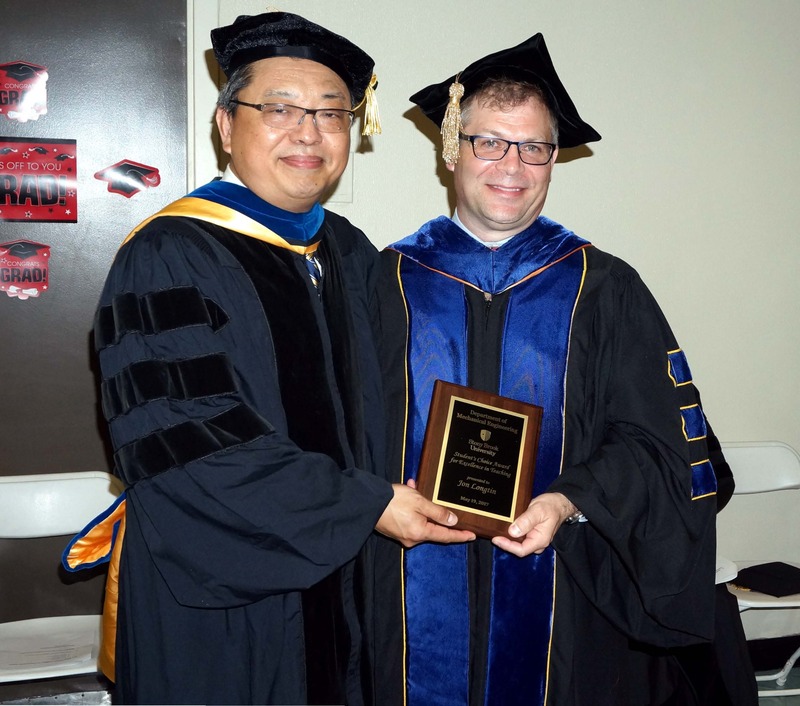 The award carries an inscribed plaque and an honorarium sponsored by the A. T. Yang Memorial founded in recognition of late Prof. A. T. Yang's seminal contributions to the field of theoretical kinematics. The Department of Mechanical Engineering would like to congratulate Dominique Barone, Assistant to Chair, for receiving permanent appointment in her position as Senior Staff Assistant. Dominique joined the University community in 2001 as an undergraduate transfer student studying sociology. Following graduation, she began working for Clinical Practice Management Plan at Stony Brook Hospital, and soon after began pursuing a Master’s Degree in Human Resource Management through the School of Professional Development. After receiving her graduate degree, she worked for several years in private industry as a recruiter, and then returned to Stony Brook where she worked first as the Assistant to the Assistant Vice President for Campus Residences for five years before joining Mechanical Engineering for a promotional opportunity in November 2014. Dominique is an active member of the campus community and has served on various committees and volunteer assignments, notably, as a Judicial Board Member for University Community Standards, an ADV101 Instructor and Transfer Orientation Advisor for Academic & Transfer Advising Services, a LEAD/GOLD Mentor for the Department of Residential Programs, a member of the Student Employee of the Year Awards Selection Committee with the Career Center, as well as a Homecoming Banner Judge for Athletics. She is also the recipient of her former Division’s Outstanding Service Award in Spring 2014. Dominique is excited for the opportunity to continue her work as an administrator in the Department of Mechanical Engineering and remain an active community member at Stony Brook University. Dr. Ashish Singla, Assistant Professor, Department of Mechanical Engineering, Thapar University, Patiala visited during Summer 2017 as Visiting Assistant Professor in the Department of Mechanical Engineering. He worked with Dr Anurag Purwar on development of assistive devices for rehabilitation. Dr. Ekta Singla, Assistant Professor, Department of Mechanical Engineering, IIT Ropar also joined as a Visiting Assistant Professor in our department. She worked with Dr. Anurag Purwar on developing a unified framework for redundant manipuator designs. Prof. Carlos Colosqui (PI), Thomas Cubaud (Co-PI), and David Hwang (Co-PI) receive a three-year $328,441 award from the National Science Foundation CBET to develop novel capillary “diodes” for water treatment and separation of immiscible fluids. TechPREP — a STEM program for middle school students on Long Island — has received a $20,000 grant from the Long Island Community Foundation. TechPREP is a collaborative effort that includes Stony Brook University’s Women in Science and Engineering (WISE) program, Department of Technology and Society, Department of Mechanical Engineering, Department of Research Technologies and Innovation, along with local school districts. The grant will provide funding and facilitators for a one-week summer STEM program, which will serve as many as 100 students from high-need school districts. Prof. Carlos Colosqui (PI) wins a three-year award from the National Science Foundation (NSF) to study the interaction of colloidal micro/nanoparticles with lipid bilayer membranes forming the outer wall of biological cells and 2D biomaterials. 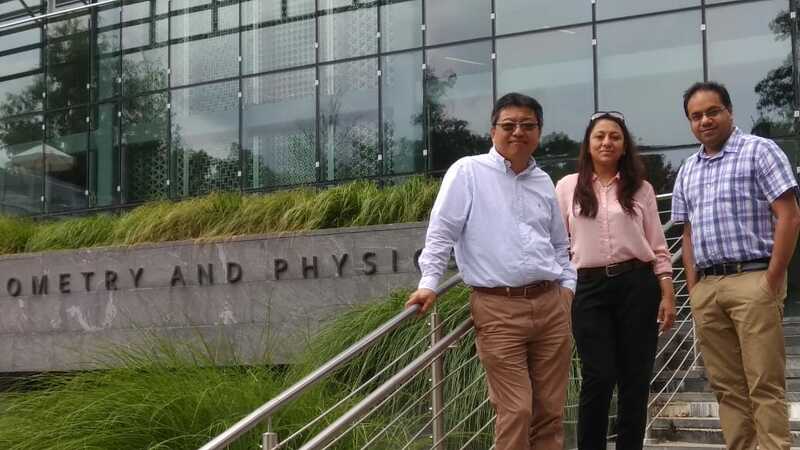 The project is a NSF collaborative effort with Prof. Howard Stone at Princeton University and Yuan-nan Young at NJIT and is co-funded by the NSF Divisions of Mathematical Sciences (DMS) and Chemical, Bioengineering, Environmental and Transport Systems (CBET). The total award amount ($505,000) is split between the three academic institutions involved, with $150,000 awarded to Stony Brook University. Prof. Anurag Purwar from our department recently served as the General Conference Co-Chair for the 2016 ASME International Design Engineering Technical Conferences (IDETC/CIE) held in Charlotte, NC and attended by more than 1400 people. This flagship meeting for the ASME Design Engineering Division and the Computers and Information in Engineering Division consisted of the 11 conferences on topics ranging from Advanced Vehicle Technologies, Design Automation, Design Education, Mechanisms and Robotics, Multibody Systems, Nonlinear Dynamics, Control, Vibrations, Biomedical Devices, Design for Manufacturing and the Life Cycle Conference, and Micro- and Nanosystems. Drawing largely from the 970 draft papers submitted, the conference featured 772 archival paper presentations and 74 technical presentations across a wide range of session topics, complemented by plenary and keynote lectures, lively panel discussions, industry sessions, and informational tutorials and workshops addressing a rich spectrum of cutting-edge topics related to design, analysis, computation, and academic/professional success. Recent trends in democratization of manufacturing capability such do-it-yourself hobby shops, 3D printing technology, as well as low-cost sensors, actuators, and microcontrollers, call for a corresponding democratization of design tools that can help engineers and tinkerers alike to innovate and invent motion generating devices. Motion generation is a fundamental aspect of machines, at the heart of which are kinematic mechanisms that make it possible for motions to be transmitted or transformed. A kinematic mechanism is a collection of moving pieces linked together through kinematic joints such as hinge joints and sliders. Mechanism design innovation involves the selection of an appropriate mechanism type (i.e., the number of moving pieces and joints as well as the pattern of their interconnections) and the determination of key dimensions in the mechanism needed to generate the desired motions. Once a mechanism type is selected, the appropriate dimensions can often be determined by solving a system of polynomial equations. The task of type selection, however, is not so amenable to mathematical treatment, and requires a level of intuition that may take many years to develop and is difficult to pass on. This award supports the development of a set of web-based, data-driven design tools that unify the type and dimensional synthesis for mechanism design innovation. The planned MOOC (massive open online course) will help bring these tools to the masses and help promote interest in science and engineering including high school students and those from under-represented groups. The research team will bring together the diverse fields of reverse engineering, computational shape analysis, and design kinematics to develop a data-driven paradigm for kinematic synthesis of mechanical motion generation devices. The goal is to advance the science of mechanism design and lead to practical and efficient design tools capable of solving highly complex motion generation problems faced by machine designers. Central to this research is the creation of a new computational framework for simultaneous type and dimensional synthesis of various mechanisms. Assistant Professor, Qing (Cindy) Chang received donated Bosch Palletized Conveyor System from GM, valued at approximately $50K. The system includes a closed loop Bosch TS plus conveyor, VFD controller, and set of proximity switches and cords. It took only six months for Stony Brook University to hit an energy research grand slam, earning major federal funding on four projects poised to revolutionize the world’s energy technology. A Stony Brook University research team has been awarded $2 million from the U.S. Department of Energy (DOE) Advanced Research Projects Agency (ARPA-E) to develop an active air conditioning vent capable of modulating airflow distribution, velocity, and temperature designed for commercial or residential unions. The goal of the project is to create a vent that results in up to 30 percent energy savings through directed localization of existing building heating/cooling output. Mechanical Engineering major, Roger Carson '15 is highlighted in the below article, "Building a Better Future for Engineers of Color"
Assistant Professor Qing Chang has been awarded the prestigious National Science Foundation CAREER award titled "CAREER Collaborative Modeling for Distributed Sensing and Real-Time Intelligent Control to Improve Battery Manufacturing Productivity and Efficiency" ($400,001) in 2014. The democratization of the programmable electronics and manufacturing capabilities calls for a democratization of design capabilities, which is needed for invention and innovation of machines. This talk focuses on challenges, opportunities, and possible solutions for bridging this gap by uniting the teaching of scientific and engineering principles with the new tools of technology while fostering invention, innovation, and creativity. Our Solar Boat team has brought home a trophy for winning the first place in SolarSplash Competition co-sponsored by IEEE Power Electronics Society and ASME Solar Energy Division. Shown is a photo of our graduating senior Mr. Ankit Tyagi, the team captain, with the trophy and the plaque. The team has been co-advised by David Hwang, Assistant Professor of Mechanical Engineering, as well as David Westfield, Assistant Professor of Electrical Engineering. David Westfield traveled with the team to the competition. Mechanical Engineering Department sent the first team to participate in SolarSplash competition in 1998. Last year, the team ranked the 5th overall and this year they took home the trophy! STONY BROOK, NY, January 24, 2014- Stony Brook’s William Worek, PhD, received the American Society of Mechanical Engineers’ (ASME) Edwin F. Church Medal, a high honor of achievement that recognizes eminent service in increasing the value, importance and appeal of mechanical engineering education. 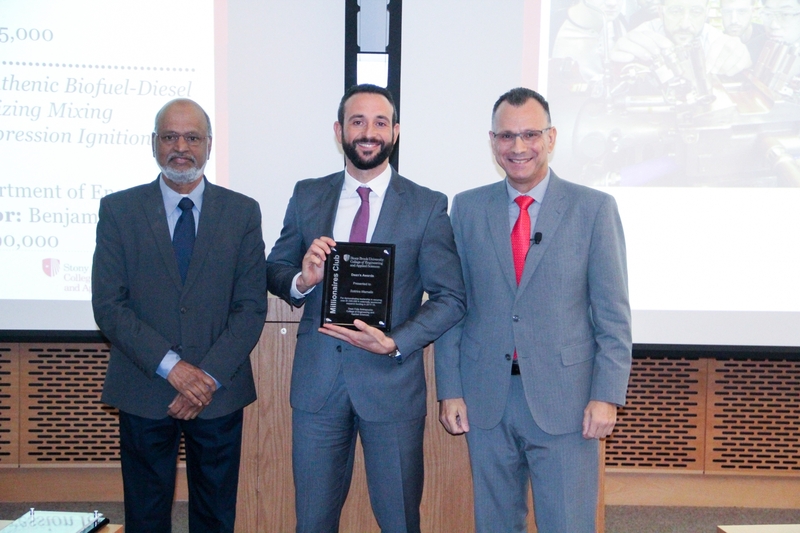 Worek was honored for the development of new courses in combined heat and mass transfer and the establishment of a master of energy engineering program that gives students the tools to design, execute and manage new energy projects. Worek is a Professor in the Department of Mechanical Engineering andan Associate Dean of Research and Graduate Studies in the College of Engineering and Applied Sciences at Stony Brook University. He is a recognized expert in heat and mass transfer, fluid flow and thermodynamics, as applied to energy efficient, renewable and sustainable energy systems. Three College of Engineering and Applied Sciences students and Sotirios Mamalis, a professor in the Department of Mechanical Engineering, were honored to be invited to the Fourth Annual Naval Academy Science and Engineering Conference (NASEC), held from November 3-6, 2013, in Annapolis, Maryland. Joseph Venezia (senior, Mechanical Engineering), Sebastian Gomez (senior, Mechanical Engineering) and Morgan DiCarlo (sophomore, Civil Engineering) came together with undergraduate students from a wide variety of institutions of higher education to participate in discussions about STEM and the challenges our nation faces in solving critical issues. Venezia and Gomez worked on a research collaborative at the conference and proposed Alternative Energy solutions, while DiCarlo’s project focused on water quality and safety. The students also met and networked with the influential keynote speakers: Arati Prabhakar, Director of Defense Advanced Research Projects Agency; The Honorable G. Wayne Clough, Secretary of the Smithsonian Institution; and The Honorable Kathryn D. Sullivan, first American woman to walk in space and the Secretary of Commerce for Oceans and Atmosphere and Acting NOAA Administrator. The idea for the product came to Anurag Purwar when his friend, a retired physician, complained of struggling to do what so many younger people take for granted: sitting and standing. So Purwar, a Stony Brook University mechanical engineering associate professor, designed a device resembling a walker that's equipped with an electric motor to lift seniors from chairs, then ease them back down. Now he is working with Biodex Medical Systems Inc. of Shirley to develop it into a full-blown product. "There are so many people who need help standing and sitting as they grow older," Purwar said. The collaboration between the professor and Biodex is part of a growing push on Long Island to commercialize technology from Stony Brook and other research facilities. Officials hope the brainpower of local laboratories will spawn a culture of high-tech start-ups to boost the region's struggling economy. Purwar and Biodex have $80,000 to develop the invention, primarily from The Research Foundation for SUNY. They plan to target nursing homes, hoping to sell about 500 of the products annually for around $5,000 apiece. They plan to pitch the device as a way to help nurses and other employees avoid back injuries while helping patients out of chairs. The challenge, industry experts say, will be making the device lighter, cheaper and more versatile than existing products. "Back injuries are a huge issue, and there are already products out there," said Robert Heppenheimer, chief executive of the Nesconset Center for Nursing & Rehabilitation, who isn't associated with the product. "But if this one is cheaper and easier for nursing homes to use, there could be a market." The bigger potential, however, could be selling the product for seniors to use in their homes, Heppenheimer said. Purwar designed the device, called the Mobility Assistant, with help from a student, Thomas Galeotafiore. It's powered by a 12-volt battery, weighs about 30 pounds and is equipped with wheels to function also as a regular walker -- a feature Purwar says sets it apart from other products. Ed Behan, a Biodex vice president, met Purwar last year at a workshop at Stony Brook for aspiring entrepreneurs. The company, founded in the 1950s as Atomic Products Corp. to develop equipment for researchers at Brookhaven National Laboratory, manufactures a variety of medical devices. Behan hopes to have Purwar's invention on the market within 18 months. "More and more people want to maintain their independence and mobility," he said. "And this fits that need perfectly." reducing carbon dioxide emissions. The team’s work, “Mechanical Motion Rectifier (MMR) based Railroad Energy Harvester,” was awarded “Best Application of Energy Harvesting” at the Energy Harvesting and Storage USA 2012 conference, held in Washington, DC on November 7-8, 2012.The Stony Brook team, led by Professor Lei Zuo and two graduate students Teng Lin and John Wang from the Department of Mechanical Engineering and Advanced Energy Research and Technology Center, developed a new type of energy harvester that converts the irregular, oscillatory motion of train-induced rail track vibrations into regular, unidirectional motion, in the same way that an electric voltage rectifier converts AC voltage into DC. Professor Zuo estimates that the invention could save more than $10 million in trackside power supply costs for railroads in New York State alone, along with a reduction of 3000 tons per year of CO2 and a half million dollars of electricity savings.